We like tacos, we like BBQ and I was craving the texture of tempeh (am I the only one who finds comfort in the texture of food?) 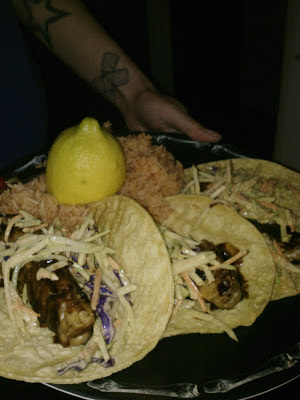 so the BBQ tempeh taco with Sriracha slaw was born! Served with red rice and lemon and you are good to go. I just pan fried the tempeh (cut into long fingers) in olive oil till browned. Added some BBQ sauce to coat, turned the heat down low, covered the pan and steamed the slices in the pan for about 10-15 minutes. The slaw is pretty basic: broccoli slaw mix, a dollop of Vegenaise, a hefty squirt of Sriracha and a drizzle of lemon juice. 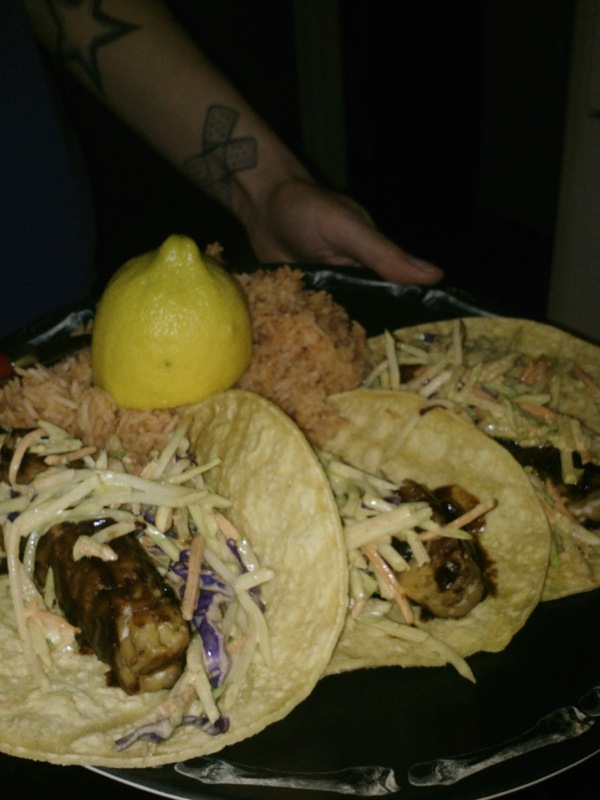 Everything was served up in warm corn tortillas. Tempeh is one of my all time favorites.